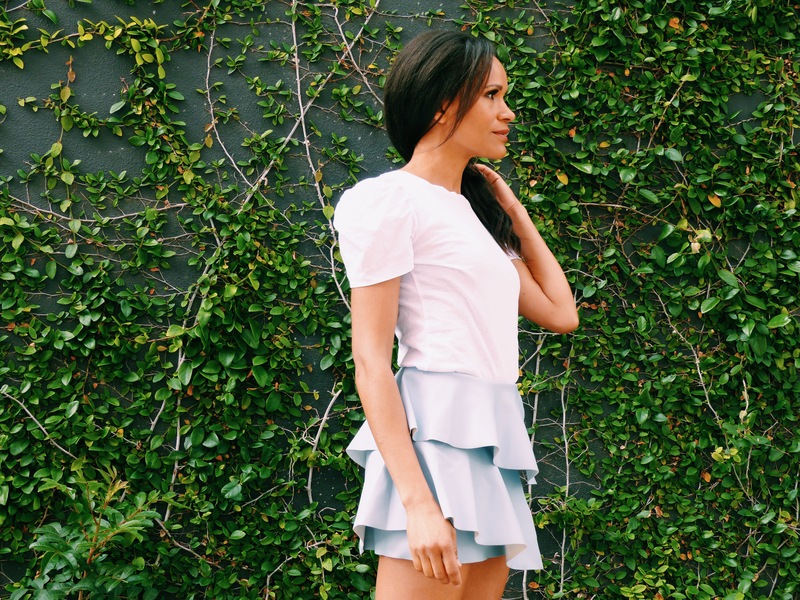 As soon as I laid eyes on this little pale blue vegan leather skirt, I thought, Spring! Which made me very happy. Another spring has sprung and life is in full bloom. In spite of a few setbacks and health scares (my mom got sick and had to have her kidney removed in an emergency surgery that left our family reeling, and my best friend and sister just moved away to Atlanta), I am optimistic and celebrating this turn of season with all the verve of someone who knows just how lucky she is to be alive, in love, and in LA. So I figured I’d dress the part and pair this little ruffled number with a puff-sleeved T-shirt and a pair of fringe sandals. Looking forward to what’s next.